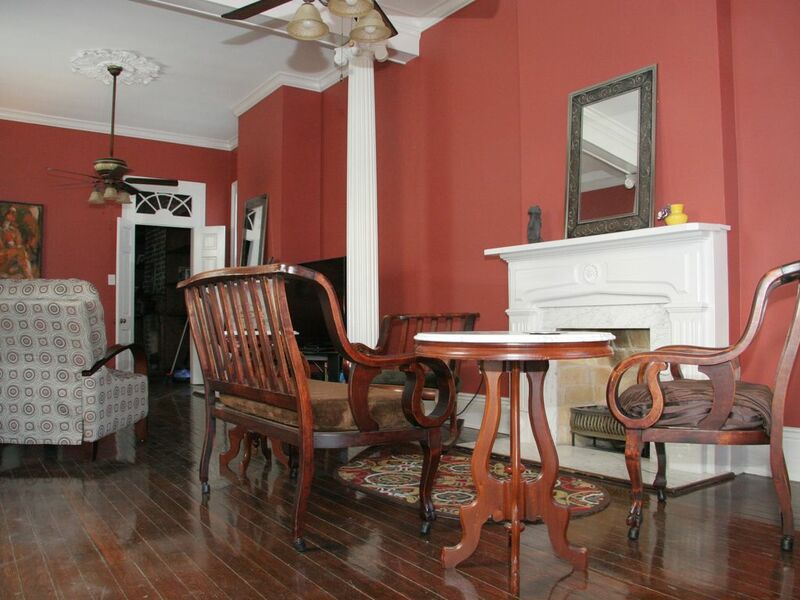 Marigny Triangle Gem; 1900 SQFT; 1/2 Block to Esplanade; 2 blocks to Bourbon St. This classic New Orleans house is a camel back style that has been newly renovated. It is 1900 SQ FT. in size. The house has that old New Orleans feel but with newer amenities. The home offers a private patio for outside enjoyment. The patio is covered and has ceiling fans for those hot summer days. There are 3 bedrooms and 1 1/2 baths. There is a queen bed, full bed, and futon available in the bedrooms. There is also a full size sofa sleeper located in living room. The kitchen has brand new appliances and the bathrooms have recently been upgraded. The house is within walking distance to all of the hip areas on Frenchmen Street or to the wonderful French Quarter. The streetcar line can get you to many places around the city. I am from Louisiana. My family moved around a lot but we lived in Mandeville (city north of New Orleans) during my teenage years. I attended high school in Mandeville. I have been a resident of New Orleans off and on since 1988. I love to travel. It does not matter where in the world I go - there is no place like New Orleans. The friendly people, the incredible food, the joy in every day living is so evident in this vibrant city that I keep coming back for more. New Orleans is in my heart and soul! I always wanted to own a home that "screamed" New Orleans and it had to be located in a vibrant, happening area. In 2000, this Marigny Triangle Gem caught my eye. The house is so unassuming from the front. Sanding in front of it - it appears to be a tiny quaint cottage but then you walk in the front door and it explodes into a beautiful living area that is just so New Orleans. The back patio sealed the deal for me - it is one of the wonderful features of the house. Very clean and awesome location! The property had ample space and a great kitchen! For 8 college students it was perfect because we were right by Bourbon street and close to a bunch of music & jazz clubs! The owner was very helpful and responsive if we had any questions or concerns! Very cute, perfect for our weekend! The Thirsty Camel was awesome! Much bigger than I thought based on the pictures. Location was perfect, very close to the French Quarter that it was easily walkable. Would stay here again! This is a well cared for little home in an awesome location! A taste of New Orleans! Wonderful location and the patio was a great place to relax after a lot of time on our feet enjoying the area!! This house was perfect for our weekend girls trip! There was only one shower but we all took turns and there was an upstairs and a downstairs bathroom which was great. The back patio is really cute and beautiful and we enjoyed spending time there when we came back from being out on the town. The house is cute and easily walkable to bourbon street. Great house in a perfect location. Don’t miss the Sunday brunch at Buffa’s right across the street! Great weekend getaway. The property is located in the Marigny Triangle which is a trendy hip area of New Orleans. It is 1/2 block off of Esplanade and the French Quarter. You won't need a car in this location if you plan on staying in the French Quarter area. Must cancel 30 days in advance of reservation to get a full refund. Refunds not grated after this period.